2000. 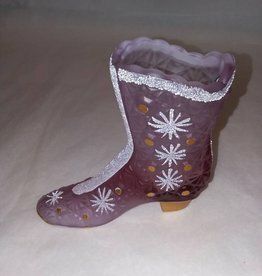 Lite purple Fenton glass boot. Daisy design w/snowflakes. Hand painted & signed: B.Williams & Lynn Fenton. 95th. Anniversary. 4.5X4"